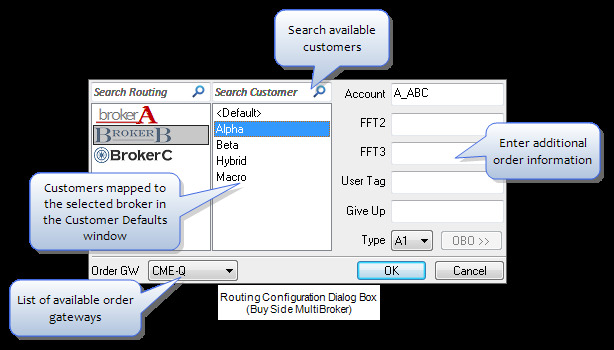 You can select an order gateway or broker using the Routing Configuration dialog box. This dialog box is available from the Order Pane, MD Trader and the Order Bar. 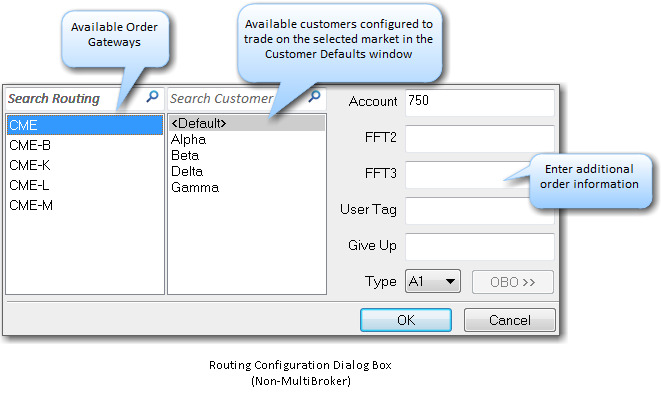 To invoke the Routing Configuration dialog box from the trading window, click the Routing field. You can also click the Browse button to the right of the Routing field in the Order Pane. When an order gateway and broker (X_TRADER ASP) are selected in the Market Grid columns, only the Customer section displays in the Routing section. 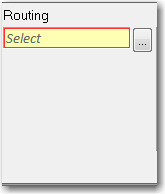 Click Select in the Routing section to open the Routing ConfigurationDialog box. Select the desired order gateway. Enter any additional order information (i.e. FFT2, FFT3). Click OK when you are finished configuring order routing parameters. Select an order gateway if multiple order gateways are available.